Austria told Macedonia today (12 February) to be ready to “completely stop” the flow of migrants across its southern border from Greece and said it would do the same on its own frontiers within months. Last month, fearing that Western countries will close their borders, Macedonia, Serbia, Croatia and Slovenia started only letting refugees whose registration papers say that they will apply for asylum in Austria and Germany pass through. So far, almost all refugees have continued on their way to Austria and further on to northern Europe. Countries along the Balkan route earlier restricted entry only to migrants from Syria, Afghanistan and Iraq. Last October Commission President Jean-Claude Juncker called a mini-summit in Brussels to tackle the refugee crisis along the Western Balkans route. Those invited were the leaders of EU countries Austria, Bulgaria, Croatia, Germany, Greece, Hungary, Romania and Slovenia and their colleagues from non-EU states Macedonia, Serbia and Albania. The summit ended with a plan to increase to 30,000 by the end of 2015 the number of places to host refugees in Greece, and to make available another 50,000 places in countries further north, without any other detail. 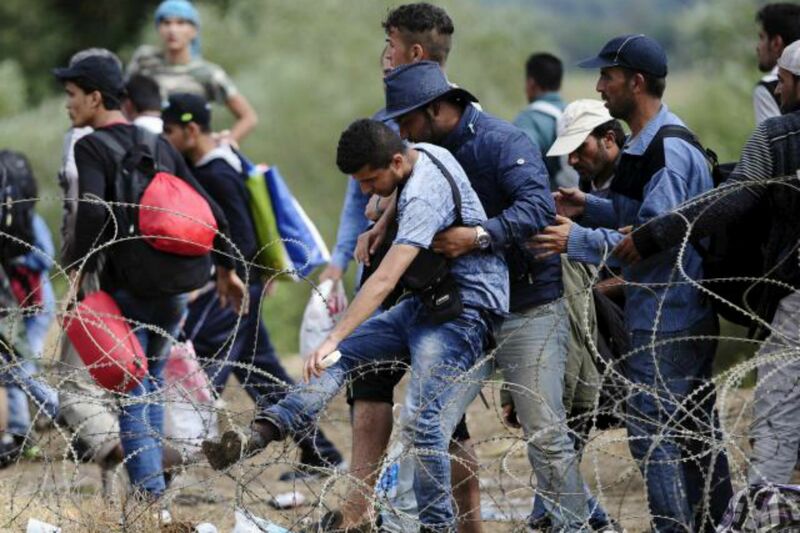 It became obvious at the mini-summit that the countries on the Balkan route have no plans whatsoever to become a buffer zone for migrants, who anyway have no intention to stay there and seek to reach the wealthy countries further north. Bulgarian Prime Minister Boyko Borissov has made it plain that the countries on the Balkan route won’t allow to be transformed into refugee camps. “If Germany, Austria and other countries close their borders, we will not let our peoples become a buffer zone. We will be ready in the same way to close our borders,” Borissov said last October.